Woodburn S. Wesley, Jr. has served clients since 1975 and practices primarily in the areas of personal injury and workers' compensation law. A seasoned trial attorney, much of his time is devoted to litigation. Mr. Wesley is admitted in Florida, and the U.S. District Court Northern District of Florida. Prior to commencing his private practice, Mr. Wesley was a Florida Assistant State Attorney. Mr. Wesley is a member of several professional organizations, including the Association of Trial Lawyers of America, the Florida Bar, and the Florida Trial Lawyers Association. He has served as President and been a member of the Board of Directors of the Okaloosa-Walton Bar Association. 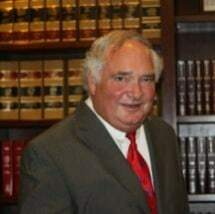 Mr. Wesley earned his Juris Doctor from the University of Florida Law School and also holds a Bachelor's degree from the University of Florida. He also served as a Captain in the U.S. Army from 1969-1972.